I loved how we were able to select the exact arrival day for our ingredients, which helped a lot with meal planning for the week. All the ingredients arrived in an insulated box and then the ingredients fit easily in the fridge after we unpacked them all. There were two cans of tomatoes, two different sizes, and only one was labeled. Luckily, we had enough common sense to deduce which one was which, but then couldn't figure out how the tomato sauce recipe fit with both courses. We really needed the cards to have some numbers to tell us when to do which thing. I started to panic just a little bit that we hit this tomato sauce snag so early. I even tried to find the videos online and started to panic more when I couldn't find the videos either! 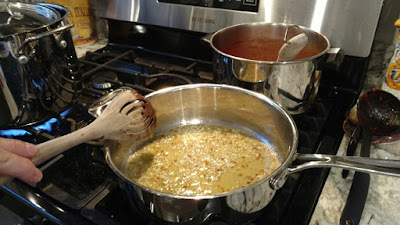 (They're under "Recipes" -> This Week's Videos.) Katie definitely has nothing to worry about as Pizza and Pasta Queen. We won't be stealing her title anytime soon! 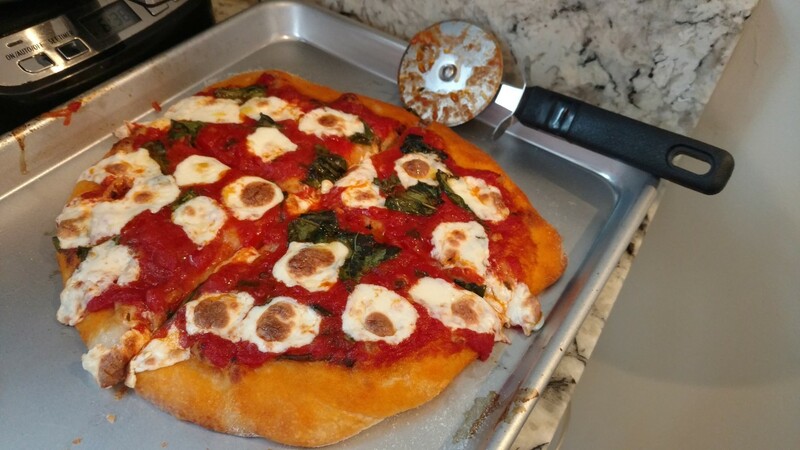 Fortunately, your pizza still tastes amazing regardless of what shape it's in! WHEW! One of them turned out fairly round! 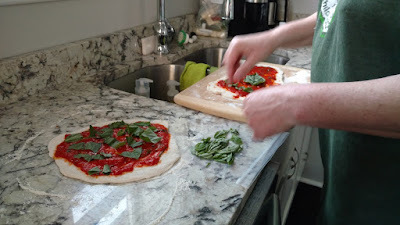 Since the pizza is cooked on high heat, it got done very quickly and we were able to snack on that while we made the pasta. We probably should have just picked one package of items to cook so we wouldn't have had to wait as long to officially sit down to dinner. 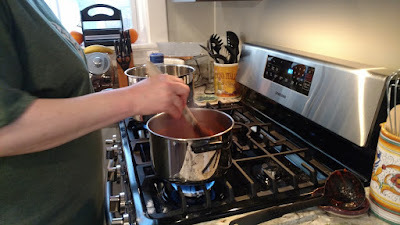 The pasta was much easier as there was no dough to fight with, but I don't think we should have done the "tomato sauce preparation" step for the pasta. Next time, we'll probably just order one activity at a time so we can make sure we use all the right ingredients at the right time, and be done with cooking in about an hour or so. 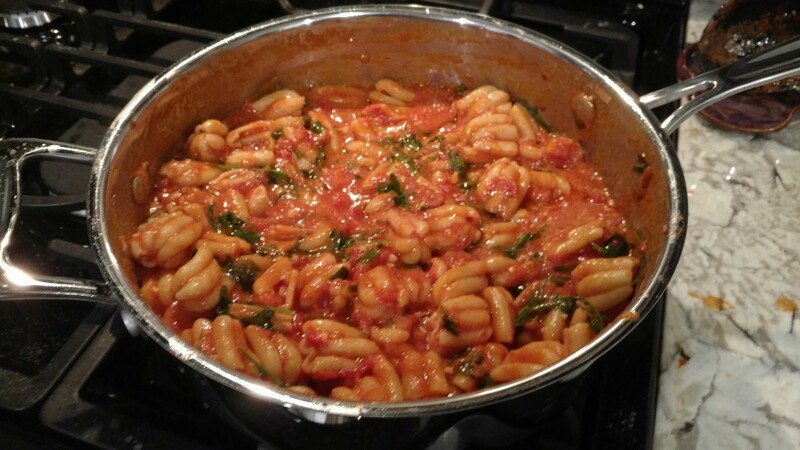 Ready for the pizza or pasta challenge at home? 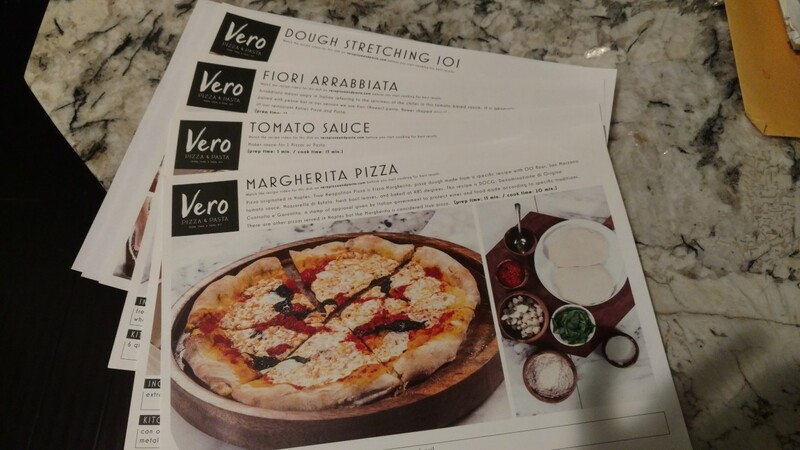 Then Vero Pizza Box is great for date night or families...get your kids involved!